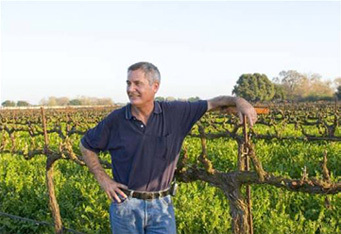 By maintaining confidentiality, California Sustainable Winegrowing Alliance (CSWA) hopes to build trust with Sustainable Winegrowing Program (SWP) participants and partners, and to ensure long-term success of the program. To this end, CSWA has developed a Confidentiality Policy to provide guidelines for the handling of confidential information. According to the Policy, CSWA employees, volunteers, independent contractors and board members shall hold in confidence all Confidential Information, whether or not such Confidential Information is (a) marked as confidential or secret or otherwise designated as proprietary, or (b) if disclosed verbally, reduced to writing and marked confidential. These individuals shall take precautions to prevent any unauthorized disclosure or use of any Confidential Information consistent with procedures established by CSWA consistent with this policy, and with reasonable care. Employee personnel matters and actions, including employee records with responsibilities, qualifications, and compensation information that will be unduly invasive of personal privacy. Programs, projects, products and/or services being developed but not yet made public including pending grant proposals. Opinions and other privileged information received from legal counsel or other learned experts. SWP information, materials and data as described in Appendix A. Appendix A, an appendix to the policy, describes confidentiality practices and provides examples to guide appropriate disclosure and nondisclosure activities associated with the SWP workshop sign-in sheets, workbook self-assessment results, SWP, and related information, materials and data.